Can type have a gender? Is it even socially acceptable to ask such as question? Putting aside any sort of nonsensical gender bias, it’s absolutely the case that typography can and does suggest a level of masculinity (or a lack thereof). Today, we’re going to jump into what makes a typeface feminine vs. masculine. More importantly, we’ll talk about why this matters and and how it should influence your design work. So you think you’re a pro at spotting typefaces eh? You’re a real type lover with at least one clever t-shirt dedicated to the cause of teaching the world to kern. You’ve seen the Helvetica documentary eight times and you love to walk around a crowded city with a superior smirk on your face, pointing out all the instances of Helvetica that you see. The big problem with this, aside from the fact that you seem a little full of yourself, is that Helvetica can actually be pretty tricky to identify if you haven’t done your homework. I’m willing to bet that you’ve even pointed at Arial (gasp!) 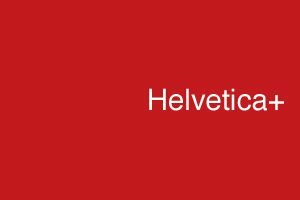 a time or two and boldly proclaimed it to be Helvetica! 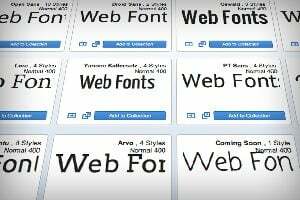 Save yourself the embarrassment and learn some great tricks for spotting the most ubiquitous font on the planet. Today we’re going to take a look at how to use the Perspective Grid in Adobe Illustrator. This awesome and fairly new tool allows you to automatically flow vector elements onto a prebuilt three dimensional grid. You might think that you need to be an artist to use this tool but there are in fact all kinds of practical uses for it in every day design. We’ll use it to lay out some type like in the example above. One of the best ways to get pure, unadulterated design inspiration is to look at a great collection of typographical art. The techniques, craftsmanship and gamut of visual styles is always enough to kick in the creative side of your brain and lead you to some incredible new ideas. 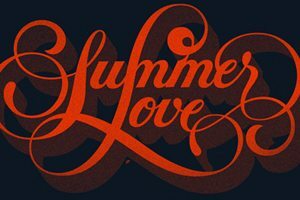 Today we’ve got sixty mind-blowing examples typographical art handpicked from Behance. In this post you’ll find branding concepts, free fonts, handcrafted goods and more. Every designer, whether you’re in print or web, should possess a basic understanding of fonts and type. 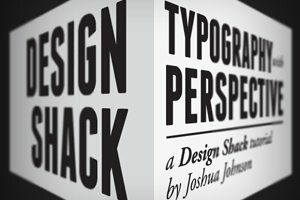 Using the right typeface and understanding how a font will impact your design can add that extra pop to print and digital projects and will set them apart from all others. One important area to understand is the anatomy of type. 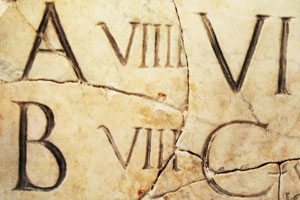 Ascenders, descenders and serifs may sound like words from another language but are the basis for understanding the style of a typeface and how if relates to your project. Today we’ll take a brief run through of some terminology that you should know. Today we’re going to talk about script fonts. We’ll examine how they’re commonly used on the web, offer up some tips for incorporating them into your own designs and see fifty sites that use scripts in a big way. We’ll also take a close look at one of the most commonly used scripts on the web today, can you guess what it is? Yesterday we published an article outlining Eight Simple and Useful Tips for Kerning Type. This mostly focused on the basics of kerning: what it is, how it works, letter pairs to keep an eye on, etc. Today we’re following that up with a discussion on how to use Lettering.js to kern your web type. Don’t worry, it’s much easier than you think! Kerning is fun! All right, unless you’re a serious type nerd like me, that’s definitely not going to be a true statement. However, it is an absolutely essential part of your typographical education and implementation. If you’ve been ignoring kerning or simply aren’t sure how to do it properly, take a look at these eight quick tips and get started on the road to becoming a kerning master. So you love typography, who doesn’t these days? The question is, how sloppy are you when it comes to implementing type in your designs? 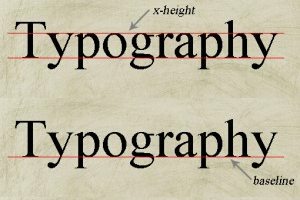 Today we’re dishing up some great and simple typography tips that everyone who works with type should know. Whether you’re an expert or a beginner, read on to see if you’re guilty of any of these pitfalls.